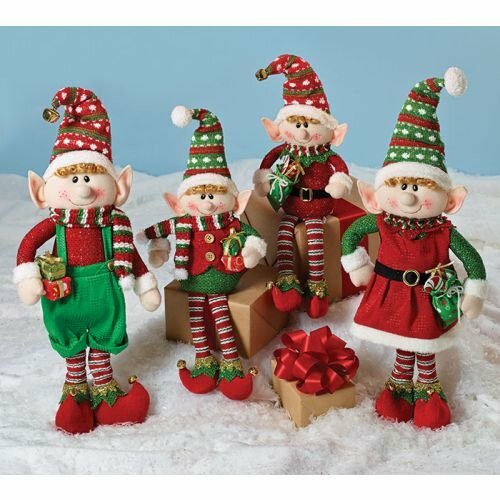 Elves Christmas Deals. Halloween Store. Incredible selection of Halloween Costumes, Halloween Decorations and more! 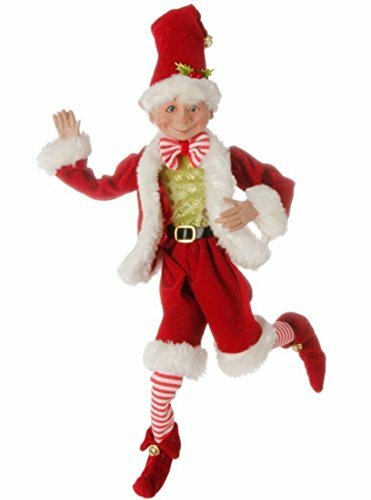 Add a whimsical touch to your holiday decor with this 16" Posable Elf by Raz Imports! Looks great on the mantel, in the tree, and in wreaths! Made of polyester. Dimensions: 16". 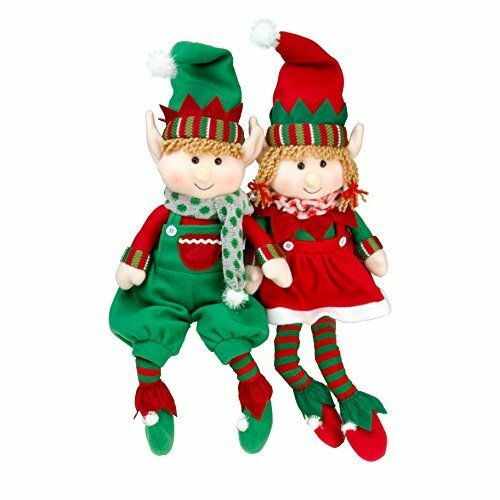 Plush elf in red Santa suit with red and green striped legs. 13" tip of hat to toe. This cute little guy will fit perfectly in your tree, on the mantel, in wreaths, and anywhere else you want to spread Christmas cheer! 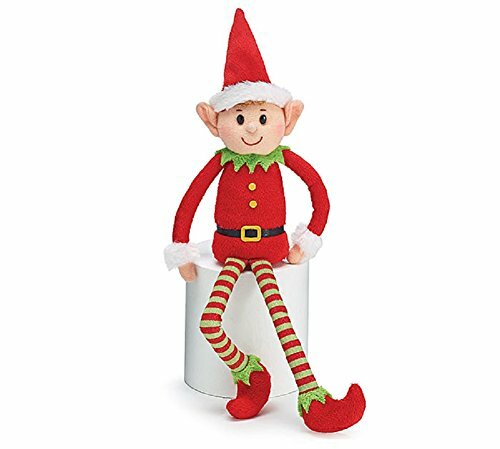 The elf's arms and legs are also bendable which helps him sit comfortably. This is a Must Buy set for your holiday! 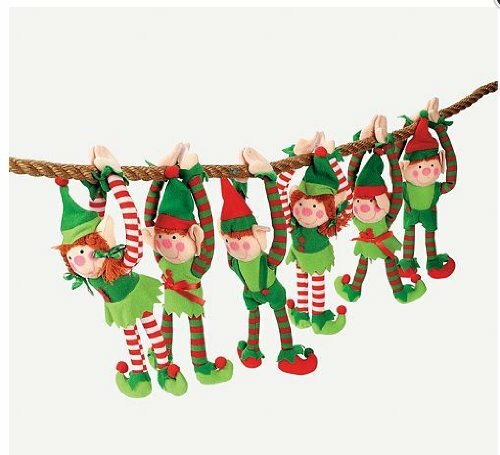 Santa's little helpers like to have fun too! 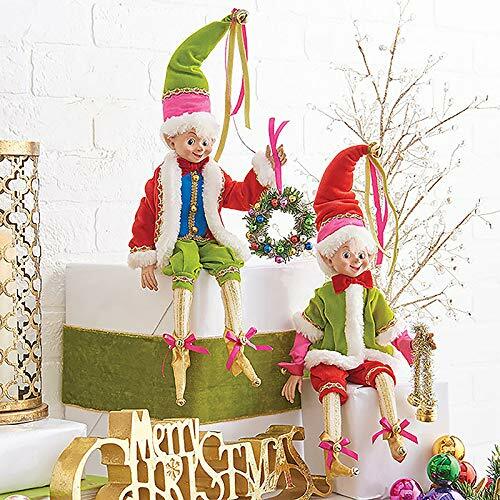 Wearing a glittered hat and shoes and a sparkling red coat, this elf is uniquely dressed, especially when it comes to his tights. 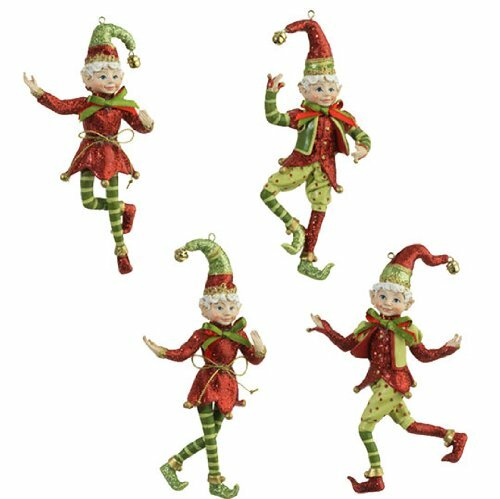 With a jingle bell atop his head he's sure to be a playful addition to your festive décor. Finished with a red ribbon for easy hanging.